When I came across the following post on AcrobatUsers.com, I immediately knew what to do because we covered this during the Reorganizing Pages session for Learn Acrobat XI on Udemy.com. When I combine JPEG images into a single PDF binder in Acrobat pro XI, some but not all of the pages rotate in the final PDF when they are in correct orientation in the preview combine files screen. It does not make sense and I then have to go through the final PDF and rotate individual pages slowing me way down. Very annoying, can this be prevented? I’m not sure why the pages are rotated on import, unless the JPEG images are somehow defined that way but there is a simply fix even if the pages are non-contiguous. 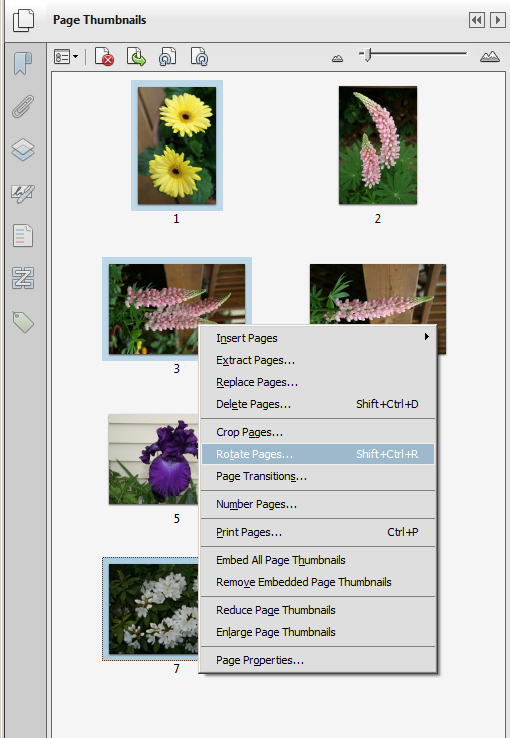 Start by opening the Page Thumbnails navigation pane and select the pages you need to rotate. Hold the Ctrl (Cmd on Mac) key down to select non-contiguous pages. 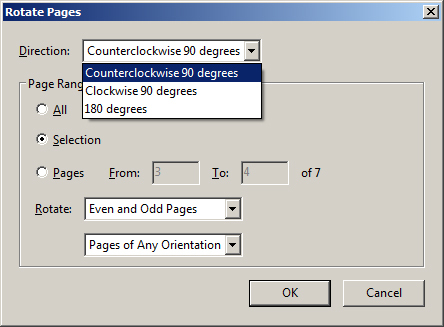 Right-click and choose Rotate Pages from the context-sensitive menu. Choose the direction you need to rotate from the dropdown and voilà all the pages are rotated in one quick step.